A worried turkey goes to each of the barnyard animals to try to figure out how to be anything BUT a turkey before Thanksgiving. 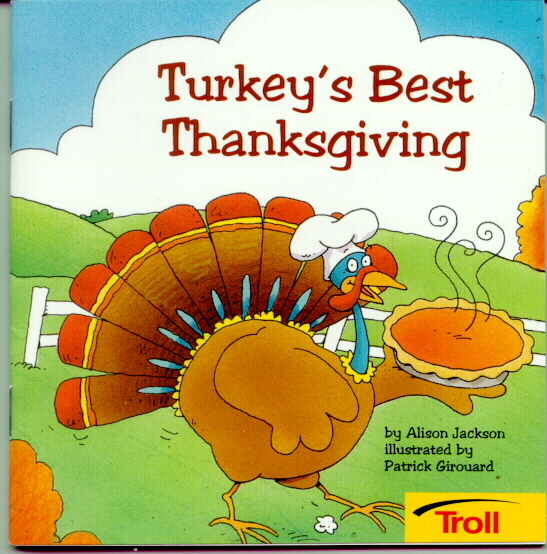 All his efforts fail to make him look like them, but on Thanksgiving Day all the animals pretend they're turkeys, which convinces Farmer Jones not to use that ax on their friend. An easy primer written with the help of daughter Quinn, this title is available in paperback only.